The Molalla tribes, North, Santiam, and Umpqua valley (southern), were traders between the Chinookans to the north, the Klamaths to the south and the Paiutes to the east and the Kalapuyans in the west of their territory. Their name is a corruption of the Chinook Wawa word “ulali” meaning berry or huckleberry. They signed two treaties and were removed to the Grand Ronde Indian Reservation in 1856 with most other tribes of western Oregon. 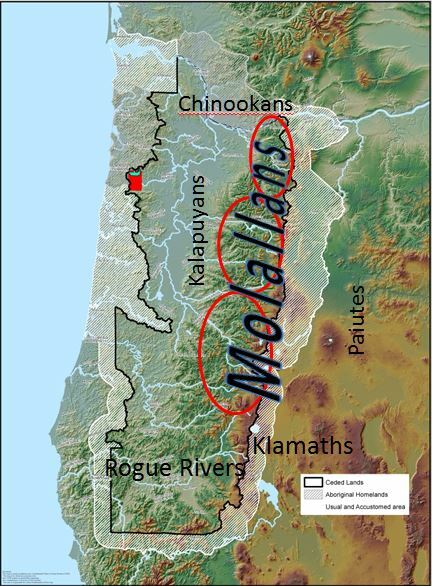 The remaining scattered Molalla bands integrated with the Klamath and Warm Springs peoples or remained in the Cascades for many decades. The first time there is a serious event involving the Molalla in the 19th century, is a dispute in 1844 over a horse. This dispute led to the murder of Cockstock a Wasco Indian who rode into Oregon City with 4 Molallas. Cockstock had entered an agreement to be paid with a horse for some work. When he went for his payment the horse had been given to another. Cockstock took the horse from James Soules who had gotten the horse. Soules complained to the Indian agent Elijah White who sent an arrest warrant for Cockstock. The Chief came to Oregon City to tell his side of the story and killed two men who tried to arrest him. Chief Cockstock was killed by Winslow Anderson, the man who originally made the deal, by being hit over the head with a rifle. No one ever was arrested or was held responsible for this murder. The next major event is a rare battle in the Willamette Valley. In 1848, six months after the Whitman Massacre, the settlers in the valley were very tense, concerned that the tribes would attack. As many of the men were gone, the remaining settlers suffered some thefts from the Indians. The situation became much tenser when 80 Klamath Indians came into the Molalla area. 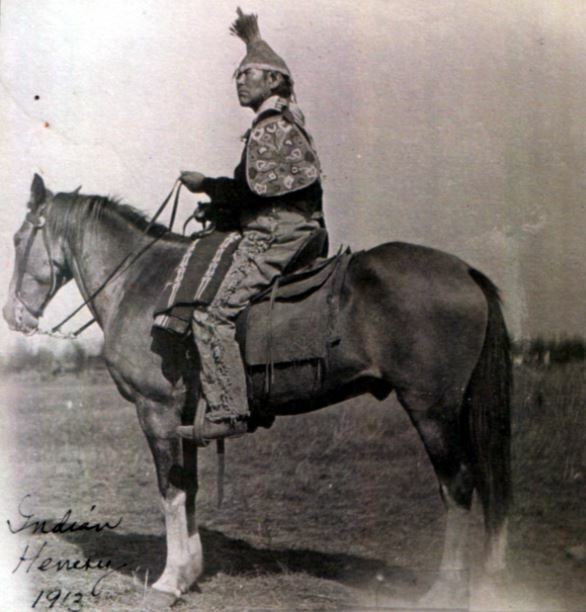 The tribes were especially fearful of Dicky Miller and sought to scare him away by dressing for war and riding around making lots of noise as if they would attack. They never attacked, but instead made the settlers more tense. This situation went on for several days, with many of the settlers taking shelter at Dicky Miller’s homestead for protection. The mail carried word to the surrounding settlements of the Klamaths and their actions in preparation for war, and on the second day men began arriving at Dicky Miller’s house. Don Waldo was the captain of these volunteers who organized to drive the Klamaths back to their homelands. The settler militia set out to drive the Klamaths back and upon meeting them in a small prairie they began shooting. One Klamath man was thought to have been killed but native testimony later suggests that he simply drifted down river and survived. The next day the volunteers again advanced further into the forest and began driving the Klamaths further back, with some back and forth firing of arrows and shooting. The next prairie saw several Indians killed as they were back up against a cliff. Klamath men and women were killed by the volunteers. Then the remainder of the Klamath disappeared into the forest. The local Molalla tribe under Chief Coastno, lived in Dickey Prairie and did not join the battle, choosing to stay neutral because they lived next to all of these settlers. Writers about this battle tended to extoll the virtues of the pioneers for not exterminating the Klamaths. It is not known from the existing accounts if attempts were made to negotiate with the Klamaths to settle the problem peacefully. The reaction of the settlers was mainly out of fear of the tribes and from rumors that the tribes wanted to kill all settlers in the valley. Don Waldo, the Captain of the Militia, out of the Salem region, was a strong leader but later could not control his men when they attacked some Indians camped near Salem who were rumored to be causing trouble. This night-time raid ended up with a short skirmish with shooting back and forth until calmer heads stopped the battle. The Battle Creek incident caused the death of some members of the tribe, caused the Americans to have to pay the tribe for those deaths and the eventual disbanding of the militia. The Indians were never found to be at fault for this incident and were exonerated. After the Abiqua battle there were some ten years of volunteer militia organizing in Oregon, leading to countless battles and skirmishes in the southwestern Oregon, and culminating with the Rogue River Indian war. The newspapers of the time, especially the Salem papers, carried numerous letters and editorials calling for the extermination of all tribes. Palmer reported in January of 1855 a company of Molalla Indians in the Cascades at the headwaters of the McKenzie and Middle Fork of the Willamette. Palmer stated that these were those families that fled the area of Molalla in 1848, perhaps fleeing attacks by settlers. The Molallas were likely harassed after the incident and some families chose to leave. 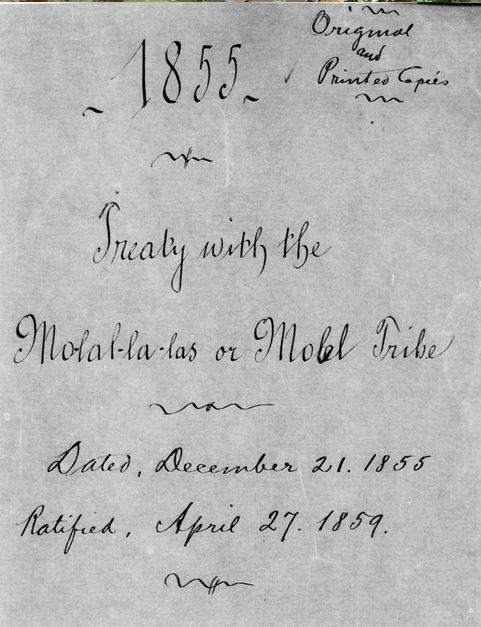 The Molalla chiefs signed the Willamette Valley (January) and Molalla (November) treaties in 1855. 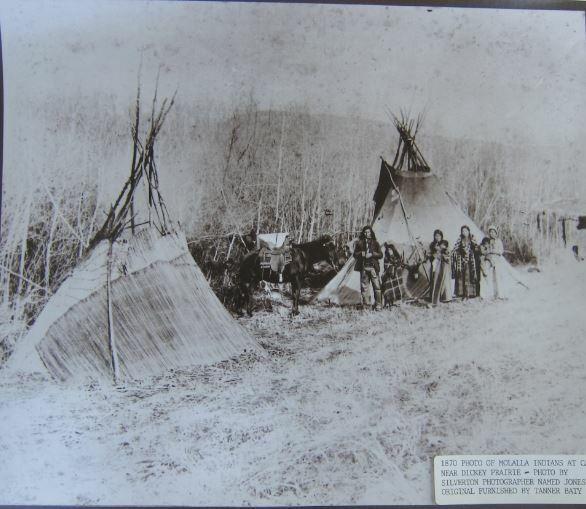 The Molallas at Dickey Prairie were kept on the Abiqua encampment for a short time until they were marched across the valley to Grand Ronde. The southern Molalla inhabited the Cascades above the Umpqua valley. These Southern Molalla were related to the Klamath people by marriage and were known to raid and kidnap women from among the Yonkalla Kalapuyas. In fall of 1855 Palmer learned of this tribe that had not been negotiated with for their land. In December of 1855 Palmer signed a treaty with this Molalla tribe, the last such treaty in western Oregon to be ratified. 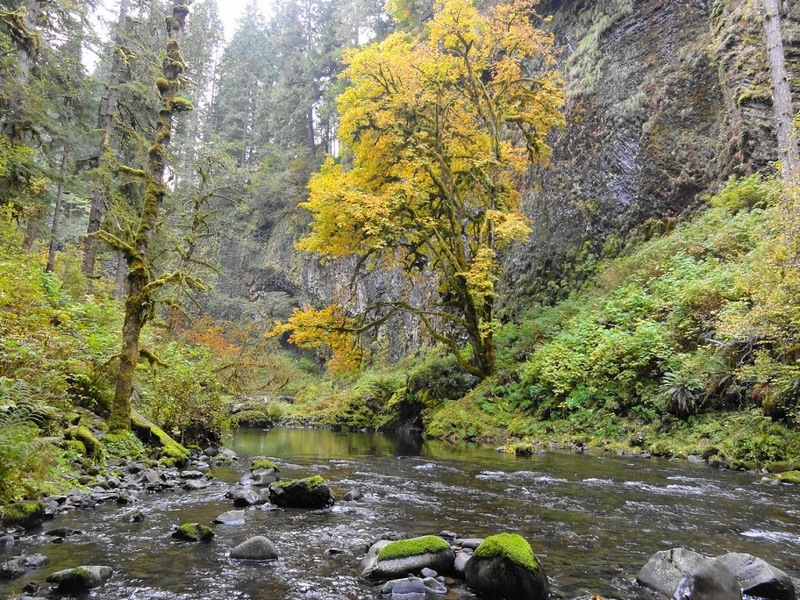 The treaty states that they will remove to the Headwaters of the Yamhill River, the first such mention in a treaty. 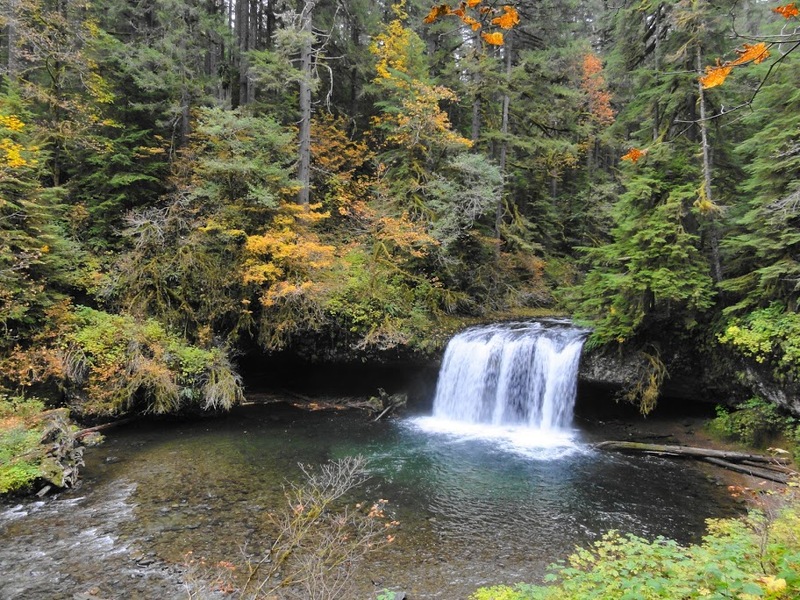 After signing the Molalla Treaty (November 1855) treaty, the southern Molallas were removed to the Umpqua Reservation for a few months before they were to walk on the Applegate trail to Grand Ronde. From 1853 to 1855, over 27 tribes signed seven treaties with the United States which were ratified by Congress. The tribes ceded their land to the United States in exchange for safety, services, education, money, and a permanent reservation where they would not be encroached upon by the “Bostons” (Americans). The Molalla chiefs, Quia-quaty, Yalkus and Kaw-ka-ma, signed the Willamette Valley Treaty on January 9th 1855. The tribes signed treaties and agreed to removal. Seven treaties were signed and ratified. Rogue River Treaty 1853, Cow Creek Treaty 1853, Rogue River Treaty 1854, Umpqua and Kalapuya 1854, Chasta Costa 1854, Kalapuya etc. 1855 (Willamette Valley), Molalla 1855. The Molalla were resistant to removal. They did not see how their living on the edge of the Willamette Valley was a problem since they were somewhat accepted by local settlers. Motivated by recent event Palmer set about removing the Molalla at Dickey Prairie soon as possible in 1856. Palmer said, “I will take you westwards.” The chiefs said, “Why will you take us?“ The treaty chief [Palmer] told them, “I’m assembling all the other people in the same way.“ “I’ll give you food, all kinds of food. You’ll eat lots of meat. I’ll give you all blankets, and I’ll give shoes to the men, and likewise to the women. I’ll give you horses. I’ll give you cattle. Now answer me, and I’ll take you along tomorrow.“ All the Molalla didn’t want to go. They said, “We will never leave. We don’t want to give up our country.“ General Palmer brought lots of soldiers. Then now he told them, “Get ready.” The Molalla said, “We will never get ready.“ “I’ll kill you all if you don’t get ready.“ “The Molalla are ready for war now.“ They fought all evening, only half a day. Then the treaty chief sent word. “Now I’ll buy the land from you.“ Then he told them, “I’ll give you this much money.” (The sum was $46,000. )Then the Molalla agreed. Then it was all right now. Then finally now the Molalla began to get ready. At the time of the Molalla removal in 1856, the Cascade tribe was under intense scrutiny for the massacre at the Cascades. Joel Palmer ordered the Molallas to come to Grand Ronde to remove them from the path of the avenging Americans who were attacking tribal peoples to exterminate them indiscriminately. The tribe under Chief Coastno (Koosta) and Chief Henry Yelkas came to Grand Ronde for a few years. Chief Coastno had signed the Willamette Valley treaty of 1855 and the Molalla treaty of 1851. One if his daughters married Chief Alquema (Joseph Hutchins/Hudson) of the Santiam Kalapuyans. 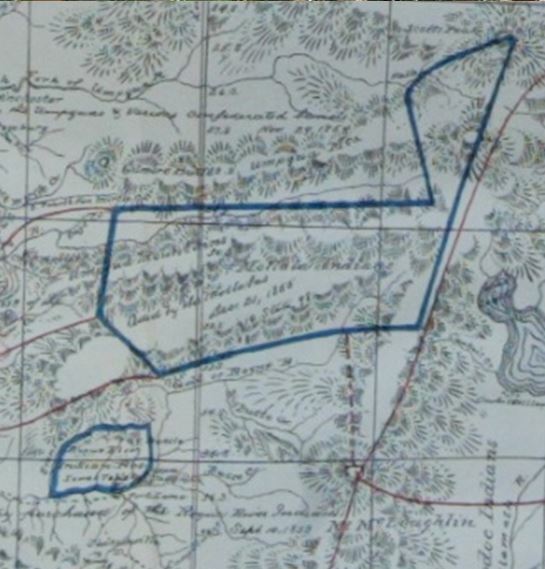 The Molalla people began complaining that the promises made by Palmer, were not kept, so they left the reservation and returned to Dickey Prairie and Molalla. They remained in the community for over a decade and then many moved to Oregon City to find work. The Molallas remained for a time at the reservation. Some accounts suggest for five years they stayed. They never did get what Palmer promised them. Life on the reservation was hard and resources, food and supplies were lean. So many of the Molallas chose to return to Dickie Prairie. They remained a prominent small community around Molalla into the 20th century. The most prominent of the Molalla tribe of Molalla Oregon, was Chief Henry Yelkas who signed the Willamette Valley treaty in 1855. Henry was well known for living most of his life at Dickey Prairie East of Molalla. 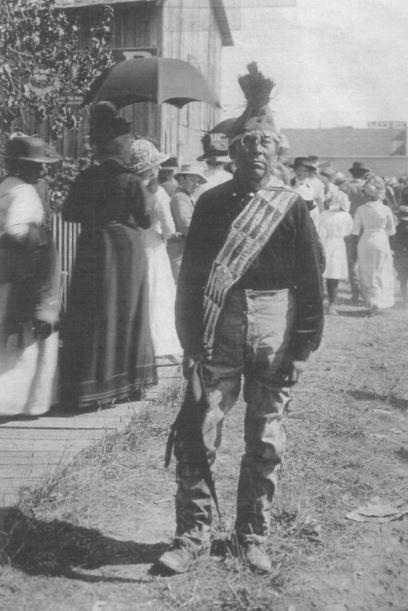 Chief Yelkas was a prominent fixture in the community participating in festivals and fairs in his traditional regalia. Chief Yelkas’ sister was Molalla Kate who was thought to be an Indian doctor (Shaman). His last day in Molalla was September 19, 1913, when he led the parade in Molalla in his regalia to celebrate the first train to arrive in Molalla. The next day he was found dead on the road, in such a manner that many believed he was murdered. He was the son of Beavertrapper, and he had a son Fred Yelkas who donned the same regalia and carried on his traditions. 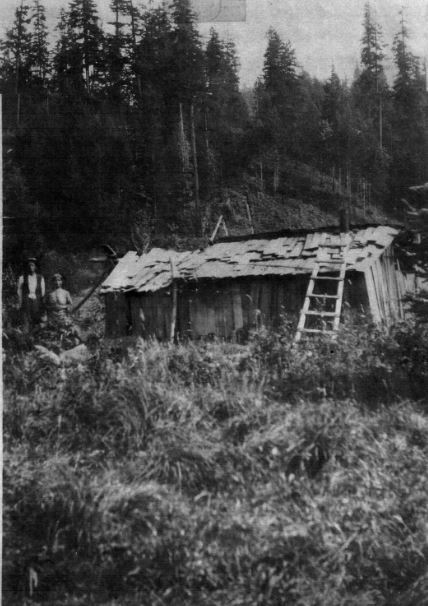 This plankhouse was at Dickie Prairie. Another style of house is this Mat house also identified as at Dickie Prairie. Kathryn is a Molalla descendant related to Molalla Kate. She worked with both Siletz and Grand Ronde for restoration in the 1970s and 80s. 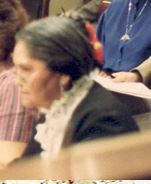 Then in the 1990s she was a multiple-term Council member at Grand Ronde, being the chair for about 10 years. She is a nationally known and respected elder. Her book, Standing Tall, is one of the best sources of tribal history for the region. There are many other families at the tribe that descend from Molalla people. 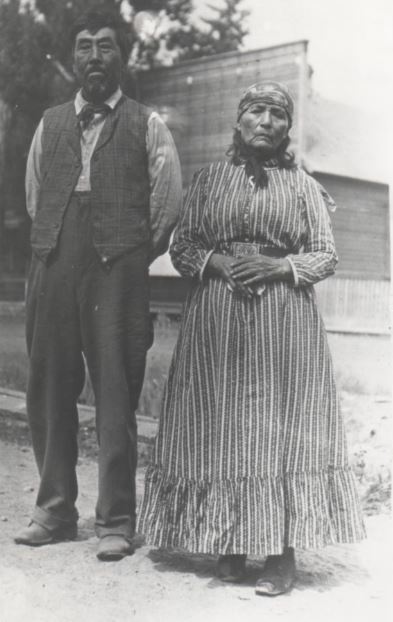 The Hudson family of Grand Ronde are direct descendants of Chief Coastno of the Molalla through his daughter Sally. She married Chief Alquema/Joseph Hutchins. She is a prominent figure among the Grand Ronde Indians for years afterwards. When the Indians gathered in Salem in a camp Meeting, she would be a head woman speaker in behalf of the tribe. She talked elegantly about the history of the tribe and their connections to their homelands.